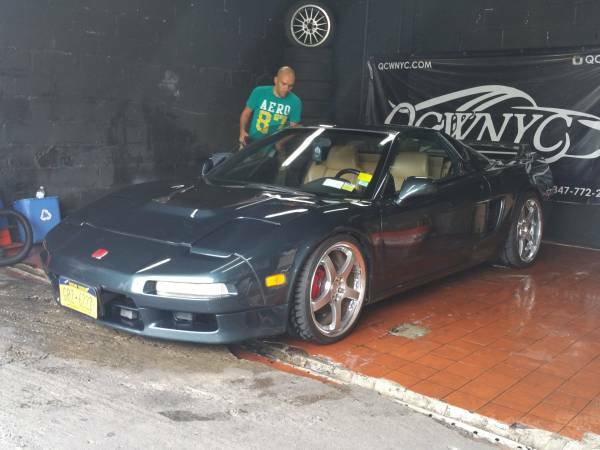 I am selling my Acura NSX-T. Not selling it because anything is wrong with it. 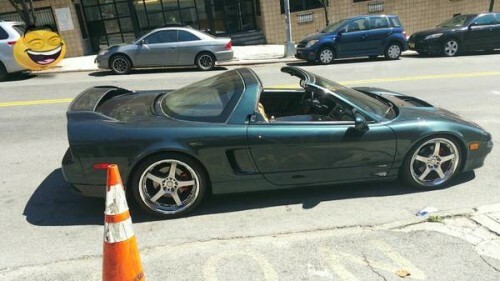 I just happened to catch my eye on a newer body NSX. It is Brooklands Green on Tan Interior. New York Title on hand. It has the 3.0 Liter Engine w/ the automatic transmission that received an optional Formula One-inspired Sport Shift with a unique steering column mounted electronic shifter. In other words it has a paddle shifter. 18/19 Staggered RO_JA R2-5( Forged, 2 Piece) rims by RAYS ENGINEERING also known as Gram Lights 57F-Pro outside of the US. 3. EPS light is on (EPS Control Unit is done, needs new one/service). Power steering is disabled but it doesn’t bother me while driving. At a dead stop might be your only problem if you are used to power steering, once the car is running the steering is great. 4. Few interior screws that hold cupholder and glovebox are missing. 6. Will need TB/WP service, still has original TB/WP. Needs Front Shocks and springs replaced. 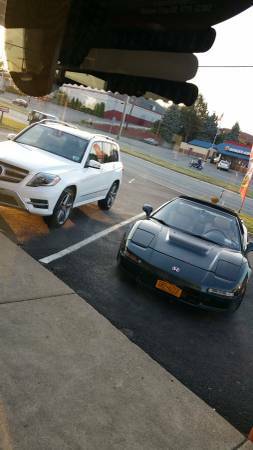 Has Eibach lowering springs in front but they sag the car too much, I recommend you buy a proper coilover system or put OEM springs and struts back on. 8. Passenger side axle boot needs replacing. About $3k in repairs with quality parts will bring this car back to perfect condition. Besides that, car is awesome, runs great, no engine issues, I have been driving it daily, it hasn’t given a growl or gets upset at anything I do to it at any speed I put it through. This entry was posted on Thursday, September 17th, 2015 at 1:32 pm	and is filed under New York, United States. You can follow any responses to this entry through the RSS 2.0 feed. Both comments and pings are currently closed.